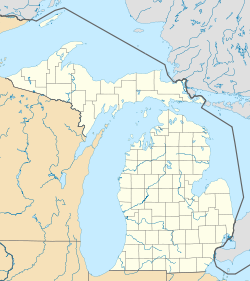 Ypsilanti Charter Township is a charter township of Washtenaw County in the U.S. state of Michigan. As of the 2000 census, the township population was 49,182. The City of Ypsilanti is bounded by the township on the west, south, and east; but, like all cities (but not villages) in relation to townships, the city is a separate and distinct jurisdiction. According to the United States Census Bureau, the township has a total area of 31.8 square miles (82.2 km²). 30.1 square miles (78.1 km²) of it is land and 1.6 square miles (4.1 km²) of it (5.04%) is water. As of the census of 2000, there were 49,182 people, 20,194 households, and 12,338 families residing in the township. The population density was 1,631.4 per square mile (629.8/km²). There were 21,196 housing units at an average density of 703.1 per square mile (271.4/km²). The racial makeup of the township was 67.51% White, 25.47% African American, 0.49% Native American, 2.01% Asian, 0.03% Pacific Islander, 1.20% from other races, and 3.30% from two or more races. Hispanic or Latino of any race were 2.80% of the population. There were 20,194 households out of which 31.1% had children under the age of 18 living with them, 41.5% were married couples living together, 14.9% had a female householder with no husband present, and 38.9% were non-families. 29.7% of all households were made up of individuals and 5.3% had someone living alone who was 65 years of age or older. The average household size was 2.43 and the average family size was 3.06. In the township the population was spread out with 26.3% under the age of 18, 11.1% from 18 to 24, 35.3% from 25 to 44, 20.2% from 45 to 64, and 7.2% who were 65 years of age or older. The median age was 31 years. For every 100 females there were 96.5 males. For every 100 females age 18 and over, there were 94.1 males. The median income for a household in the township was $46,460, and the median income for a family was $55,131. Males had a median income of $41,298 versus $29,732 for females. The per capita income for the township was $22,970. About 8.0% of families and 10.5% of the population were below the poverty line, including 14.8% of those under age 18 and 6.4% of those age 65 or over. Kalitta Air and National Airlines (5M), cargo airlines, are headquartered in the township. Ypsilanti High School Packard Rd. entrance. Ypsilanti Township is served by four public school districts: Ypsilanti Public Schools, Lincoln Consolidated Schools, Willow Run Community Schools, and Van Buren Public Schools. Ypsilanti Public Schools draw students from the city proper, western Ypsilanti Township east of Golfside Road, northern Ypsilanti Township east of Prospect, and small parts of the township south of I-94. Willow Run Community Schools, named after the famous Willow Run bomber plant and airport in the eastern part of the township, draw students primarily from eastern Ypsilanti Township north of I-94. Lincoln Consolidated Schools draw students from the township south of I-94. Ypsilanti District Library branch, Whittaker Rd. Fire Dept. Station 3, Hewitt Rd. & Congress St. US Post Office, S. Huron Ave. Paint Creek Crossings Shopping Center, Whittaker Rd. ^ "Township Map." Ypsilanti Township. Retrieved on June 22, 2009. ^ "Welcome to Kalitta Air." Kalitta Air. Retrieved on June 22, 2009. ^ "Welcome to National Airlines." National Airlines (5M). Retrieved on October 28, 2009. This page uses content from the English language Wikipedia. The original content was at Ypsilanti Township, Michigan. The list of authors can be seen in the page history. As with this Familypedia wiki, the content of Wikipedia is available under the Creative Commons License.